If you were around when the internet first saw the light of day, you’d likely be amazed by the then revolutionary technology. On the other hand, you wouldn’t have been able to talk on your phone and surf the web at the same time. This was until the end of the dial-up era and the emergence of the first DSL providers. Naturally, internet technology has come a long way since then. So is DSL still a viable option? Read on to learn all there is to know about it. DSL is short for Digital Subscriber Line. It was introduced in the late 1980s when the first broadband signal was demonstrated. The main reason for its development was to overcome the shortcomings of dial-up connections. Aside from not providing good enough speed, dial-up works at the same frequency and the same phone line as your home phone, so you can’t make calls and connect to the internet at the same time. DSL, on the other hand, uses a much higher frequency than your phone, so there’s no overlapping. The higher frequency also ensures a faster connection, which is why DSL is considered the first high-speed internet connection. DSL Internet providers would supply you with a specific modem type. 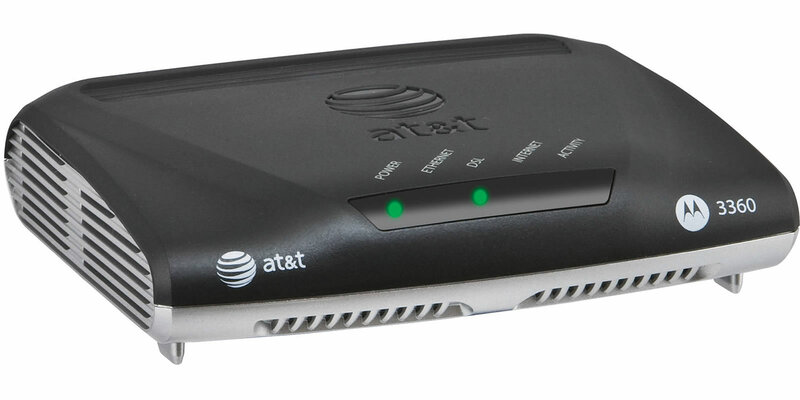 This modem works exclusively for DSL connections, so it’s not compatible with other ISPs (Internet Service Providers). There are two modem connections needed, one with your computer, and one with the line splitter that separates internet data transfer from voice transfer. • Symmetric DSL – Download and upload speeds are the same. • Asymmetric DSL (ADSL) – Download speed is much higher than the upload speed. This is the most common DSL type. DSL connection splits your phone line into three frequency bands. The lowest one is for phone calls, while the other two are in charge of uploading and downloading data. With ADSL, the highest frequency is reserved for download. Compared to dial-up, DSL is lightning fast. The download speed can be up to 1100 times faster. However, when it comes to other available internet options, it performs rather poorly. The average speed you can expect from DSL is 6-8 Mbps. The highest speed that this technology can provide is up to 15 Mbps. Some hybrid technologies use fiber to augment the line and offer higher speed, but they are usually only available in metropolitan areas. For comparison, most cable providers’ mid-range plan offers 25-50 Mbps connections, with a top speed of 100 Mbps for home use. Researchers from Bell Labs even managed to achieve a staggering connection speed of 10 Gbps, but this has only been achieved under lab conditions. And then there’s the newest technology, fiber optic connection, which currently is capable of up to 1 Gbps download speed. When you take this into consideration, it’s easy to conclude that DSL is old news. Another big issue associated with the DSL connection speed is its dependence on the proximity to ISP hubs. The maximum range for DSL is 18,000 feet, outside of which a connection isn’t possible without some sort of extender/repeater. Even within the range, you can only expect a high speed if you’re close to the hub. This depends on a variety of factors. The first one is your intended use of the internet. If you plan on streaming media or gaming, DSL is far from a good choice. You can expect quite a bit of lag unless you’re very close to a hub. In most cases, the speed would be way too low. On the other hand, DSL will do a good job of letting you surf the web without opening any websites or apps that rely heavily on a fast connection. Browsing the web, using social media, and other less demanding tasks shouldn’t be an issue. When it comes to sending data, you might encounter quite some issues if you want to upload larger files. Upload speeds are usually very low, with a maximum of around 7 Mbps, and that’s only for the latest available ADSL services that aren’t available everywhere. Another thing to take into account is your budget. Being a fairly old technology, DSL is quite cheap. Most DSL providers offer more modern solutions at higher costs, and only keep DSL packages as entry-level options that are accessible to most. Still, you can find a good deal without sacrificing your internet speed. If you want a much more modern internet connection technology that won’t break the bank, cable internet can be a good choice. To this day, it’s one of the most commonly used types of connection that offer enough power for most users. Whether you need to download heavy data, stream high-res media, or even game online, cable internet should meet your needs. In addition, the setup is a breeze, since a vast majority of people already have an option for cable connection on their TV. As far as the speed goes, you can expect anywhere from 25-100+ Mbps for download, and 2-8Mbps for upload. Fiber-optic based Internet service like from AT&T or Verizon is 100% fiber-optic based connection, offering speeds of up to 1 Gbps (1,000 Mbps). Here, both download and upload speeds are equal. Another option worth considering is 3G/4G internet. Primarily made for cell phones, this technology can also be used on laptops and PCs via a USB connection. The price is about the same as that of cable connection, but the speed you can expect isn’t as impressive. You can get a download speed of 0.4-50Mbps and an upload speed of 0.2-6 Mbps. Even though cable or fiber internet can be much more powerful, this should still be enough to satisfy average users. As you can see, DSL is a rather outdated internet technology. It’s been decades since it was first introduced, so it comes as no surprise that it’s getting replaced by fresher high-speed connections. Still, it could be good enough for some. If you live in close proximity to an ISP, you can expect a decent connection that is more than adequate for some basic tasks. This is even more so if you go with the augmented version that DSL providers like AT&T offer. DSL hasn’t received any upgrades for a long time now, and this likely isn’t going to change. The focus is now on cable internet and fiber optics. If you want to keep up with the newest tech, you might want to consider these options.